The day after a mid summer rain brings these little guys out onto the trails by the 100s. They always look like they're smiling and it makes me smile. I'd kiss ya if ya weren't so toxic!!!!! Interests:Collecting, pinning, breeding, and studying insects. I assume they congregate around this time of the year to mate and reproduce in pools like salamanders, right? This is actually an eastern newt. They go through an "eft" phase between the larval and adult stages, both of which are almost completely aquatic. Nice sunny days after the rain they come out for a little bask time. Also the young and adults are brown with yellow bellies and a flattened tail...not bright orange with a round tail. Yet another wonderful mystery of nature! Awesome finds! 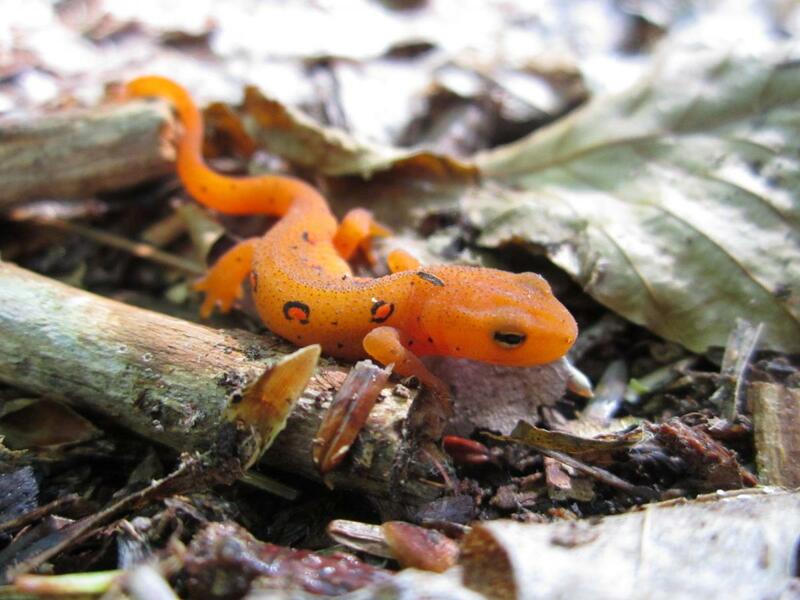 Love salamanders and newts but have never found one here despite there being some native species that live here.